Souq Khan al Wazeer, Aleppo. 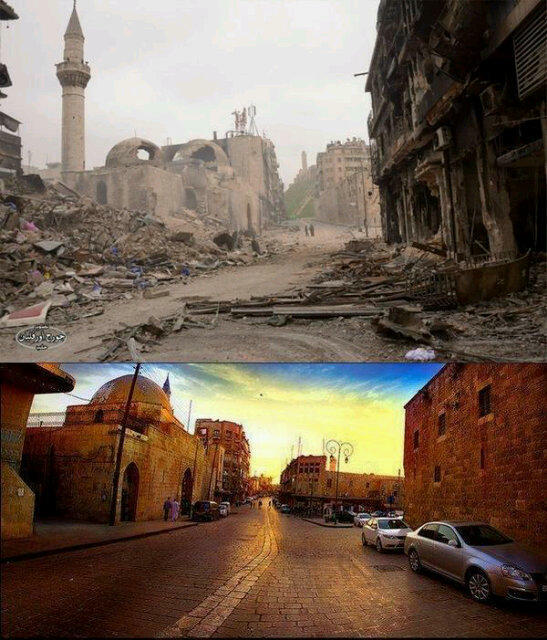 Before and after terrorist occupation. Because of the war and lack of income, many females are selling themselves for money. 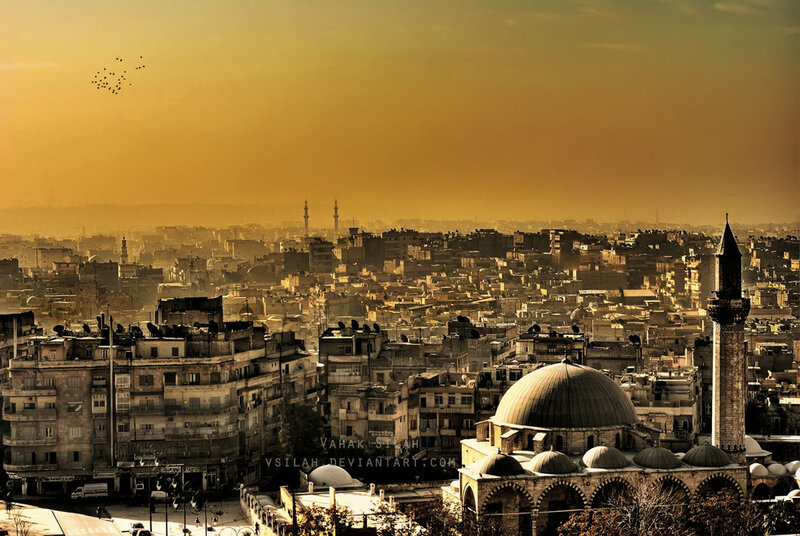 Prostitution has become so normal in Aleppo, and it has affected all social classes and levels. It has always existed throughout history but it has never been seen on this scale and with so many permutations. It is symbolic of the depths to which people are being forced to stoop to eke out a meagre existence in circumstances that drain all resources and diminish all hope. All of a sudden, malls started to spring up in big cities like mushrooms. Brand new cars and vehicles were commonplace to see in the streets, including Porsches, Lamborghini, and Ferraris. In my neighbourhood and other areas, many new buildings replaced old ones. Many friends I know told me that they were paying $20,000 – $25,000 as salaries for workers in factories and contractor firms per week! Work was amazing, everyone was happy. Each day, there is new story, real tragedies, that reach my ears and heart. All of a sudden, everything ended and people’s worlds collapsed around them. One $8 million factory was dismantled and stolen by Turkey. The owner had a stroke and died because of such losses. Aleppo’s industry has been torn apart and stolen by Turkey. A neighbour’s girl came back to her parents with her 3 teenage girls after the terrorists occupied her house in another “infected” area in the city. They looted whatever they could, and didn’t leave before plundering and sacking the whole house . Sabotaging can entail burning or breaking furniture, but when someone sees all his rooms and beloved furniture and family pictures stained with human faeces, that is so disgusting and humiliating. 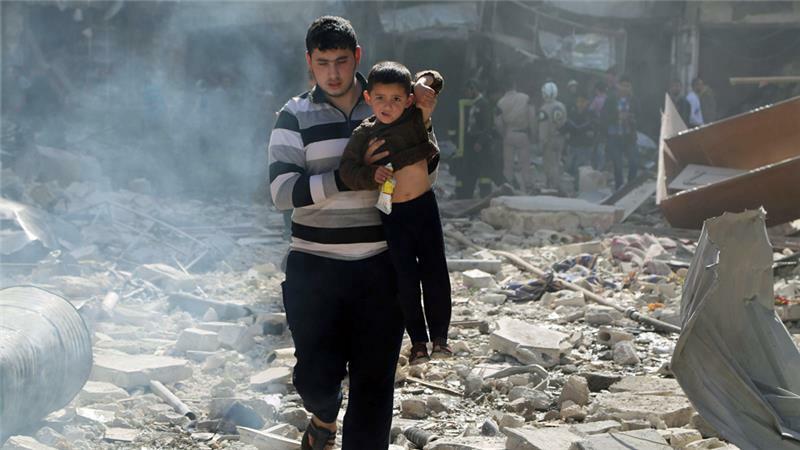 I actually heard such stories when I was still outside Syria, but I thought it was an individual act, not a common strategy in that sector of the city, to humiliate people and force them to leave home. So, their daughter sold her apartment and didn’t want to see it again, and went back to her parents. Others became refugees. Others sold their daughters to the prostitution market… stories and stories, that break my heart, and make me wonder how this could possibly come to pass and who planned it? July 25, 2015 in Aleppo, Syria. ← Yemen: What will you do when this war ends? LIVE!